Our series of expert insights continues with Alan Illing, CTO and head of technology at Bridge Financial Technology. Bridge FT is the latest back-office automation platform that offers scalable tools for RIAs. CTO, Head of Technology at Bridge FT.
Alan is the technical architect behind Bridge FT. His vision is aimed towards improving the user experience while maximizing the number of integrations available for Bridge FT’s tech capabilities. In 2015, Alan and his partners Rasheed Hammouda and Sanjay Sharma created Bridge FT out of Bridge Portfolio, which had reached its maximum growth. Together with Alan’s tech expertise took a company with plateaued business growth and made it into a modern and up-and-coming FinTech firm. In my interview with Alan, I learned a lot about his view on the future of FinTech and the blockchain revolution that may soon be upon us. He spoke at length about what Bridge FT is doing to stay ahead of the game and to attract new clients. The advent of data science in FinTech is moving mountains—mountains of data, that is. 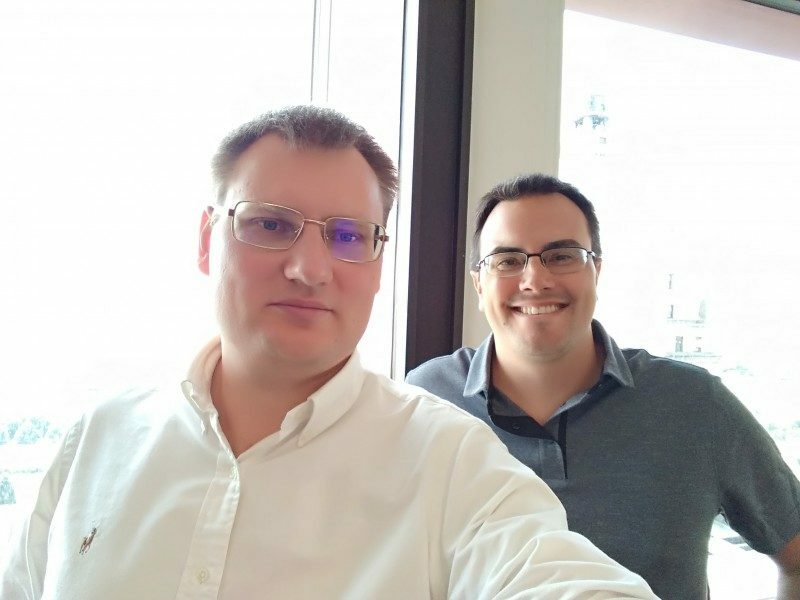 At Bridge FT, Alan and his tech team have started building statistical models for things like income prediction, spending activity (specifically overspending), trade rebalancing, and tax optimization. Alan mentioned that Bridge FT has prototype software that identifies what an investor should do based on whether he/she has FIFO or LIFO accounting, and different custodians offer options on both fronts. Delivering analytics is a main focus for Bridge FT. They see many opportunities not just in client insights, but providing growth and valuation metrics on an advisory practice itself. Because they have a built-in billing calculator and have deep integrations for access to held-away data, they can calculate both current revenue and future opportunities. When I asked Alan about the new things that Bridge FT is working on, he surprised me when he said they are developing a way to bring Amazon’s Alexa into the FinTech space. With Alexa, apps are called skills that can be installed and used for different types of integration. Alan explained that Alexa combines powerful voice recognition and parsing tools. In the past, doing something similar would have been torturous, but with Alexa the plug-and-play is incredibly easy. Bridge FT also plans on taking their Angular web application to the desktop through a platform called Electron. This would allow greater freedom, more functionality, and an improved user experience for advisors, especially in tandem with Alexa. A question I’ve always been interested in is how (or whether) FinTech companies educate their developers about finance. Alan showed me that Bridge FT is working hard to make sure their in-house knowledge is top notch. Bridge FT’s staff includes CPAs, CFAs, and former financial advisors. In order to keep everything running smoothly, the entire team has access to Guru, a knowledge-base platform. Guru has a concept called “stale knowledge,” where a person can create a card, put some content in it, and mark that card if the knowledge is likely to change or needs updates. Depending on the settings in Guru, the platform will notify the card owner either through email or Slack, which is integrated with Guru. Alan said that if one were to look at Bridge FT’s Slack channels, one would see people asking each other questions and other people linking articles and information seamlessly through Guru. Bridge FT is rising like a phoenix thanks to Alan’s tech vision and the business model and approach the company is utilizing. The future for Bridge FT is bright, and they are still growing. From the fledgling 15 clients, they now have over 100—an indicator that Rasheed, Alan, Sanjay, and the rest of Bridge FT are on the right track to building a great business.